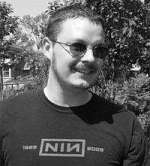 Jeff Handley works at Microsoft and is the Development Lead for NuGet. Jeff has been building and maturing software projects for over 15 years. Prior to working on NuGet, his largest projects covered education, healthcare waste management, fantasy football, credit/mortgage, and point of sale. Jeff loves that NuGet is an open-source project and is trying to enable more ecosystem growth around the project while improving the core product's features and reliability.